In November last year, a Swedish woman stood in front of a dominantly Swedish audience in Stockholm urging them to vote in favour of a presentation about a ‘dying language’ they had probably never heard of. 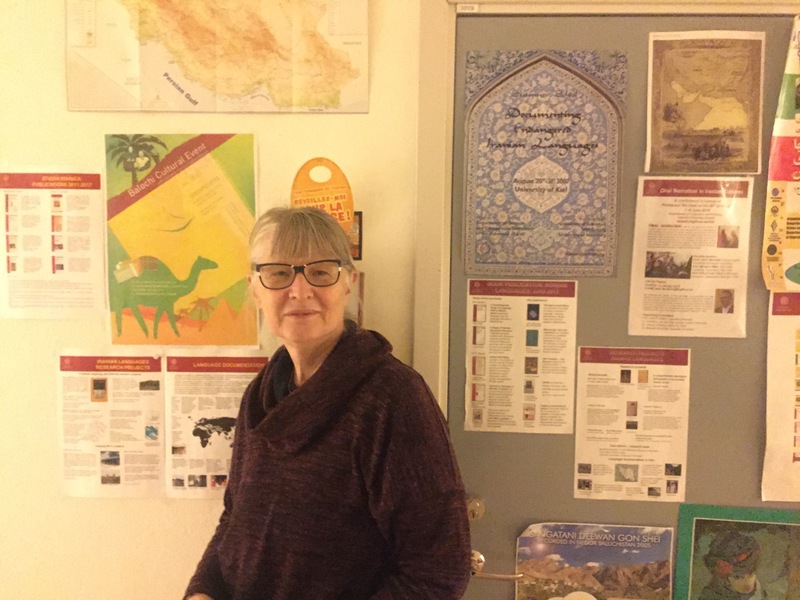 She is Carina Jahani, a professor of Iranian languages at the Uppsala University. She was taking part in a research competition. “The Balochi language must be saved now. Otherwise, it might become extinct in 50 years,” she, dressed in traditional Baloch attire, appealed to the audience and three judges. “We need resources to save Balochi. Next year I’m going to apply for funding from the organisers of the competition,” she told me during an interview conducted at her office in Uppsala University. 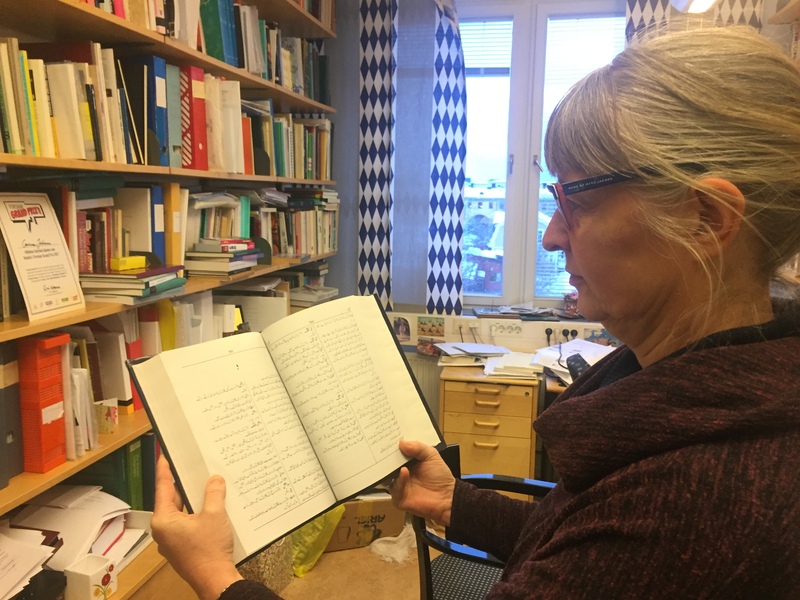 Born on June 11, 1959, in a small village of the province of Småland in southern Sweden, she has been working on Balochi for the last three decades. She has published a book on Balochi orthography and several research essays on the standardization and grammar of the language. It all started in 1978 when she travelled to Iran with a Christian youth group to learn Persian. They soon realized it was not a good time to be in Iran as anti-Shah protests rocked the country. They fled to Pakistan. “I wept because I wanted to be in Iran. I didn’t want to be in Pakistan,” she said. Someone told her in Pakistan there was a language called Balochi, which is very close to Persian. She took note of it in the back of her mind. Six years later, when she was struggling to choose a subject for her PhD research, it came back to her. She chose Balochi and the rest is history. Sajid: How did you fall in love with Balochi? What’s the story? Carina: It’s a long story. I hope I can cut it short. But I think I’ve to go back when I was a small child. I was always interested in other cultures. I was a follower of Jesus from the childhood. As were my mom and dad. And I was always dreaming about going to Africa. I had no brothers and sisters, so my mom would play with me. We often played that we were in Africa. Then as I grew older I got interested in other countries. At one time I was very interested in going to Puerto Rico. Carina: Yes. There was a very strong Norwegian woman who had an orphanage in Puerto Rico. I think I was seven or eight when we met her for the first time. She talked about her work in Puerto Rico. She took in children whose parents, particularly their fathers, were in prison, and took care of them. I told myself that when I grew older I would go to Puerto Rico and work with her. So that was a dream. A childish dream. Then I had other dreams too. When I finished my college studies I got a chance to go to Iran in 1978. It was right at the time of the revolution. The revolution was just starting and it was a troubled time. But I was very determined and I had decided that I was going to Iran. There was a Christian youth group which was working with some churches in Iran. So, yes, I went to Iran. But we couldn’t stay long because the revolution was getting stronger and the foreigners had to leave. We left and we went to Pakistan. I was very sad. I wept because I wanted to be in Iran. I didn’t want to be in Pakistan. For some reason, there in Pakistan, someone told me: well, if you’re so interested in Persian there is a language in Pakistan which is very close to Persian. It’s the Balochi language. I returned to Sweden and applied for a student visa for Iran. The revolution had taken place and nobody knew what was going to happen next in Iran but I managed to get a student visa and went back to Iran on my own in the autumn of 1979. The university where I was studying was mostly closed. But during that one year when I was in Iran I managed to learn Persian, particularly speaking, quite well. Then the war between Iran and Iraq started and I realized that it’s not a good time to stay. So I came back here. In the meantime, I had met the brother of my husband as we went to the same church in Tehran. He had told me he had a brother in Sweden. When I came back to Sweden I met his brother. After a little while we realized we probably loved each other and we wanted to get married. After the marriage, I settled in Uppsala where he was. I had already decided that I was going to study Persian and Uppsala was the place to do that. I was looking for a subject for my PhD. I wanted something slightly more than just Persian because so many people were already working on Persian. I was looking forward to working on this language that is spoken in Caucasus, Georgia and in southern Russia. It’s an Iranian language called Ossetic. I thought I might be able to work on Ossetic for my PhD. But then I realized that most sources that I would need to read were in Russian and I didn’t know Russian. I either had to learn Russian first and return to my PhD studies later or I had to choose another subject for which more sources were available in English. Since we had one child and we wanted more children without much gap I opted for the shorter route. I needed to go for a subject that I could deal with more directly. For some reason, it came to my mind that there is this language in Pakistan called Balochi that is quite close to Persian. From there on I started working on Balochi and I fell in love with it. Sajid: Which year you chose Balochi? Carina: I can say that I became interested in Balochi in 1984. Sajid: So someone told you in 1978 that there is a language similar to Persian called Balochi and that thing came back to you in 1984. In between those years, you didn’t have any contact with Balochi? Carina: No. I was busy learning Persian. Then we got married. I was busy doing my BA. My husband was studying. I hadn’t met any Baloch, I had no interaction with Balochi. That’s why I think this is from God. Sajid: So when you started working on Balochi for your PhD or when you started learning the language, what was your first reaction to Balochi? You knew Swedish, you knew Persian, you knew English and other languages. As a person interested in languages, what was your first observation of Balochi? Carina: Because I started with the Barker and Mengal’s course which I still have up here (in my library) and it is in the Nushki dialect I didn’t realize how many dialects there could be and how diverse Balochi was. I thought it would be easier than it turned out to be. When I was through those books I thought I knew Balochi quite well, but things proved different. Sajid: When was the first time you heard someone speak Balochi? Carina: That was when I went to Pakistan in October 1986. Sajid: So you hadn’t met any Baloch during all those years? Carina: No. I worked on Balochi with Professor Josef Elfenbein in England for about four or five months. We were staying in England. My husband was improving his English and I went to Cambridge once a week to study with Josef Elfenbein. But I hadn’t heard anybody speak Balochi until I went to Pakistan in 1986. Sajid: As you had already been learning Balochi, how was the experience of listening someone speak the language? Carina: It was sort of overwhelming. I realized that I could say some basic things (in Balochi) but I couldn’t speak much, and there was much to learn. I remember Abdullah Jan Jamaldini and his family took very good care of me. Mir Aqil Khan Mengal was very helpful too, as was Zeenat Sana and many other academics and intellectuals. Sajid: How did you find Balochi different from or similar to Persian? Carina: Of course, it’s very similar. The fact that I knew some Persian helped me a lot. In Persian you have these course books. In Balochi I had only this one course book by Barker and Mengal. That was basically it. The only thing I could do was to be among the people, and hear them speak the language. Yet, trust me, it has been only these past seven years that I’ve learnt good Balochi due to my intense involvement with the language. Till then, I knew a lot about Balochi. I knew the grammatical structure of some dialects. But I couldn’t say I really knew Balochi. I am learning Balochi now. I can now speak without constantly making a lot of mistakes. I cannot speak about all subjects with ease. Perhaps I can’t talk about politics or literature with ease. But I can talk about the daily things. Sajid: What’s the future of Balochi? Carina: That’s a good question. That’s a very good question. The anthropologist Brian Spooner wrote in one of his essays that it’s yet too early to say whether the Balochi language is going to further split and disintegrate, or if it is going to unify and become a strong written language. My hope and desire for Balochi is that there will be a way ahead. That the language will find its shape as a written language. That there will be provisions for its use at schools and in the education system. That there will be more unity among the (Baloch) intellectuals. That there will be a way to promote a standard language which doesn’t necessarily need to be perfect but a standard that the people can agree upon. Sajid: That’s your desire. But do you think it will survive if everything remains the same? Carina: No. By no means. If things don’t change the (Balochi) language will not survive for another two or three generations, particularly in Iran where it’s already disintegrating and where young people don’t know good Balochi. But I don’t think it’s too late. We need to have one million readers. The people should learn Balochi not since it’s compulsory in school, because it’s not; or since it gives them some economic benefit, because it doesn’t. They should learn Balochi because they want to keep their cultural heritage that is theirs alive; because they want to keep their identity that is theirs alive. I mean, after all, there must be some sort of pride in being a Baloch and in the fact that a Baloch is as much a human being as anyone else. So why should I need to give up my identity and my language to be counted. Sajid: How do you create one million readers? I mean you’re right that people should take pride in their language and culture but they usually don’t. Carina: They don’t. The political environment is of course a serious hindrance. I mean Balochi soon needs to be established as a school language. If the language is taught at school, the children will get grades for mastering it. Then there will more incentive to learn to read and write it. Unless you have that support it’s going to be tough. It’s going to be very tough. But I don’t think it’s impossible. The Kurds have come a long way before they had any minority rights or any linguistic rights. So basically I think all the Baloch who don’t want their language to die should join forces and work towards preserving it. If I teach five people to read and write Balochi and each one of them teaches five others, that’s the way we have to go. We cannot expect to teach a million in one day or one week or one year. The Baloch political organizations need to start using Balochi as their language of communication. The cultural and political organizations in Iran are using Persian and I think those in Pakistan are using Urdu. This needs to change. If Balochistan becomes a separate country in the future, is Persian going to be the official language, or Urdu, or English? You have to start now. The Kurds have done it without a state. Kurdish is not going to die. The Baloch can do it too. Sajid: Is there any language in the world that has lacked state support but has managed to survive only because of the quality of its content? Carina: I don’t know. This language death is rather a new issue. It comes with television, literacy and schooling in foreign languages. It’s a recent phenomenon, particularly brought about by television. Because television steals the language from the children. You have television in Persian and Urdu, and the children watch and like it. They are not the least bothered about learning Balochi. Similarly, they are taught Persian and Urdu at schools. They don’t need to learn Balochi. If they can get away with not learning something they will not learn it. Latin used to be the dominant language in Europe. Swedish survived because the people at that time were not literate. Due to illiteracy, people couldn’t speak Latin. But Latin was still the written language. Then when the Swedish king broke with the Catholic Church and the Protestant movement started, he ordered the Bible to be translated into Swedish and he ordered books to be written in Swedish. All the priests had to start reading the Bible in Swedish. Sajid: I think Balochi has also managed to survive so far only because of widespread illiteracy. 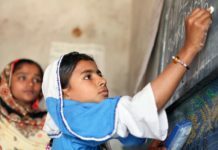 Most people don’t have much interaction with Urdu or Persian as they don’t go to school. Carina: But from now on they will not be illiterate. And even if they are semi-literate in Persian and Urdu and they have TV at home, they will slowly leave Balochi and opt for those languages. So it’s now or never. If Balochi is not promoted and accepted to be taught now, it’s not going to survive. Not just any written literature, good written literature is important. One reason for the strength of the Persian language is its poetry. But good writing without readers doesn’t help. We need good writing and we need to promote the language to get more readers. At the same time, we also need to streamline the writing system so that not everyone uses his or her own individual village dialect. We need to agree upon at least some grammatical rules so that variation in the written language is kept at a low rate. Agreement on script is also important so that people don’t have to learn three or four script systems. Sajid: When I first started writing in Balochi I thought the standardization of the language was very important for its survival. But now I don’t want to write in a standard language because it sounds artificial. Carina: I see what you mean. The vocabulary can be as broad as possible, but you have to agree on some grammatical structure. Even though it may seem artificial, you’re not required to speak the written language. Everyone must speak their own dialect. Like I speak Swedish with a very strong southern accent but I don’t use my own southern dialect when I write. I think a standard language will not seem that artificial if you mentally accept the fact that this is how we write. You become used to it. My native dialect is very different from the standard Swedish. If I speak in my village dialect here (in Uppsala), many people would not understand. If I spoke my own dialect my children would say: “Mama, don’t speak like that. That’s not Swedish.” Of course it’s Swedish but the written standard Swedish is mostly drawn from the dialects spoken a bit further to the north. The two people who translated the Bible into Swedish were from Örebro. That’s how this dialect heavily influenced the emerging standard written language. Sajid: The same way Makran’s dialect has become dominant in writing. Carina: It’s most likely going to be the most influential dialect. The dialect spoken from Sarbaz through the Kech valley, is what we are building our standard upon, but at the same time we are, of course, not excluding other dialects, particularly when it comes to the vocabulary. Sajid: Don’t you think the standardization of Makran’s dialect will alienate the speakers of other dialects? Carina: There is always a risk. I discussed this with Professor Hamid Baloch from the Balochistan university in Quetta. He says even writers from the eastern Balochistan like Kohlu and Dera Bugti are starting using a more western variant these days. Still, the standardization process must be carried out with great caution. It must take its time. Sajid: Previously, we used to have many writers from the eastern Balochistan. But since the dominance of the western dialect, the number of writers from eastern Balochistan has dwindled significantly. Carina: Yes, we had Aziz Bugti, Soorat Khan Marri, Allah Bux Buzdar, Mitha Khan Marri, Gulzar Marri. Maybe eastern Balochi will need its own standard. The future will have to show. But at this moment, we are trying to make a standard that is at least suitable for the western and southern dialects. Maybe the easterners will catch on. But, of course, we should try to incorporate more eastern vocabulary and interact with more speakers of the eastern Balochi. Yet, that’s the second step. First, we need to standardize the western and southern dialects. Then we should study very carefully how the eastern dialect can be incorporated, or if they need their own standard. Sajid: You recently presented your research proposal on Balochi in Stockholm. Can you tell us more about it? Carina: Well, this was a researchers’ competition. Candidates presented proposals on different subjects. My main purpose of taking part was to bring some attention to what we are doing, both among the Baloch and the research financers in Sweden. 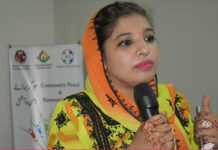 The focus of the project was how to develop Balochi into a standard language and how to involve many people throughout Balochistan both from the western and the eastern side and across the Gulf. You have to pay the people who work for you. This year we had a very low budget from the university, which funded some work on the Balochi dictionary in previous years. But there was no surplus money for 2017. I haven’t been able to finance even one project. Not even a book publication. Next year is going to be worse. They have notified that there is no money whatsoever. That’s why we need to get some funding. I applied for a research project in 2016. But it was not taken into account. It was not even evaluated. I was a bit discouraged that whatever I do they don’t even look at it. But next year I’m going to apply again. Sajid: Can you go into some details about the current Balochi projects you’re working on? Carina: In addition to my teaching responsibility at the university and position at the supervisor of two PhD students, I work on Balochi to the best of my capacity. We’ve been working on a dictionary for years. It’s a Balochi to English and English to Balochi dictionary. We need to finalize its first edition very soon as there is no such dictionary. That’s one project. The second project is a grammar book I’m writing in the suggested standard language. I wrote some fifteen pages on phonology before I got busy with my teaching schedule. But I have to resume the work. We’re also publishing a number of Balochi books in the standard orthography so that the book is coherent from page one to the end. Sometimes one single author follows different writing styles in a single book. They change their mind along the way. They spell the same word differently on different pages. There are all sort of inconsistencies in the books. We want to sort this problem out by publishing books in our agreed-upon standard language. We also have a spell-check available. We have a couple of books in the pipeline for children and young people. We have two collection of poems awaiting publication: one by Taj Baloch and one by Mehlab Naseer. We have acquired rights to work on Dr Naguman’s short stories. I mean we need a lot of readable books in a unified writing style. We also have a primer in the pipeline. Outside my activities at the University, I am also heading up a Bible translation project. So we’ve a lot of projects but unfortunately most of them are unfinished. 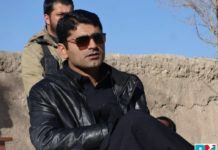 Sajid: You’re regarded as a leading linguist working on Balochi. But there are some critics who say your main interest is missionary work and the language comes second. How does your religious beliefs influence your linguistic work? Carina: Everything for me started when I was a young girl. I asked God to guide my life. That’s how I got connected with Balochi. Without my faith I would not be here. I would have done something very different. I would probably become a historian as I liked history a lot. I haven’t put any conditions that you’ve to share my faith, or else, I will discontinue my work. That would have been against everything I believe. To continue loving, to continue serving has nothing to do whether the other person shares my belief or not. I’ll continue to the best of my capacity serving the Balochi language. If the Baloch want to believe the way I believe, or if they believe according to Mohammad’s teachings, or if they want to embrace Buddhism, or if they want to embrace atheism, that is not my problem. My problem is to do what I’m supposed to do with regard to the Balochi language. If the Baloch people want Christ as their saviour and Lord I can only congratulate them. But if they don’t, I have no problem with it.